Canopy is a range of sustainably produced glassware, designed specifically for us here at the Eden Project by LSA International. 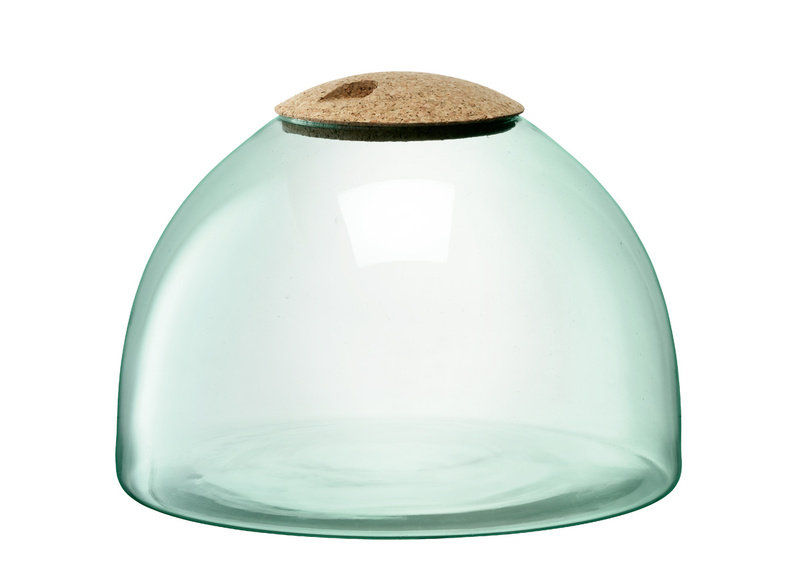 This closed garden is individually handmade from completely recycled glass and has a cork lid. 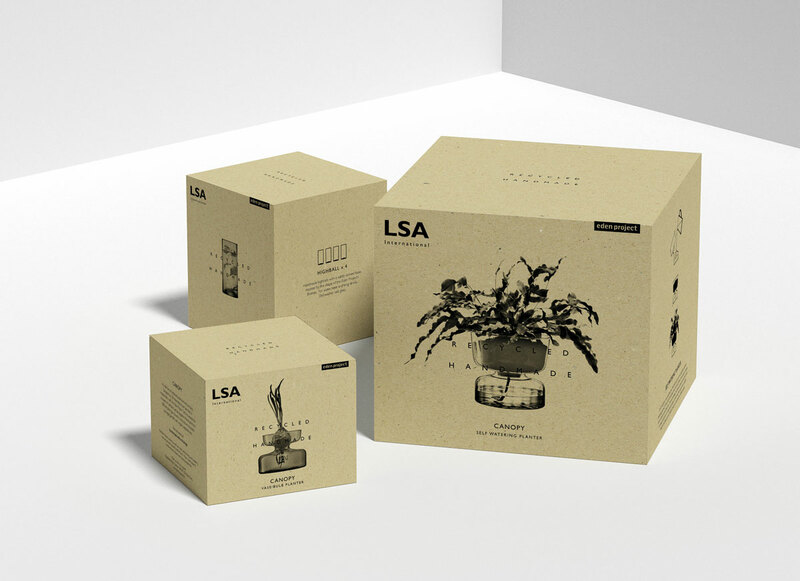 Boxed in graphic packaging, made from recycled, recyclable materials and printed with organic vegetable inks. Part of the propagation range. 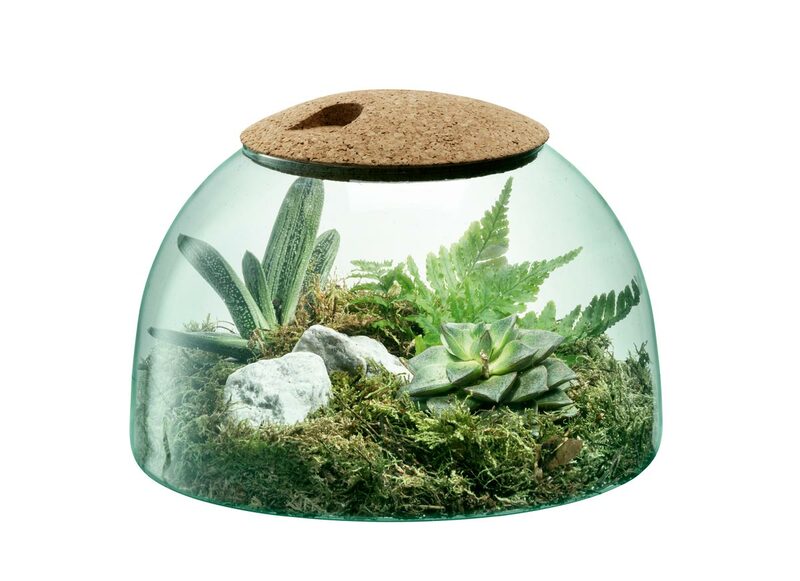 This collection includes a comprehensive range of designs for propagating and nurturing plant life including bulb planters for growing flowers from bulbs, self-watering planters and closed gardens, or terrariums, for low-maintenance indoor greenery. The vases can be filled with cut flowers and foliage, dried grasses or used to grow aquatic plants. Cuttings of many herbaceous perennials will root in water – try experimenting with perennial herbs and houseplants like spider plants and ivy. Canopy is a collection of handmade, recycled glass products designed by LSA International and launched in collaboration with us, Eden Project. Canopy is conceptually inspired by the idea that together we live as one community under the same canopy, and directly references the iconic structure of our very own biomes. 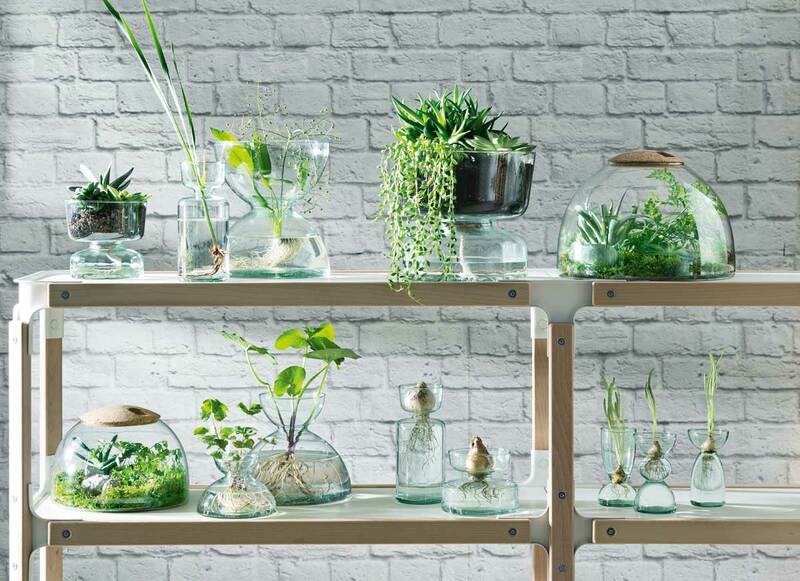 The product range is centred around hydration and propagation and includes contemporary drinkware, planters and vases. All items are dishwasher safe and boxed in recycled, recyclable packaging printed with organic vegetable inks to further minimise the impact on the environment. Each item is sustainably manufactured from 100% recycled glass, embodying the environmentally conscious act of taking discarded material and turning it into something useful. This echoes our founding principles, to transform and regenerate, exploring our dependence on the natural world and using that understanding to excite people into delivering transformation where they live.